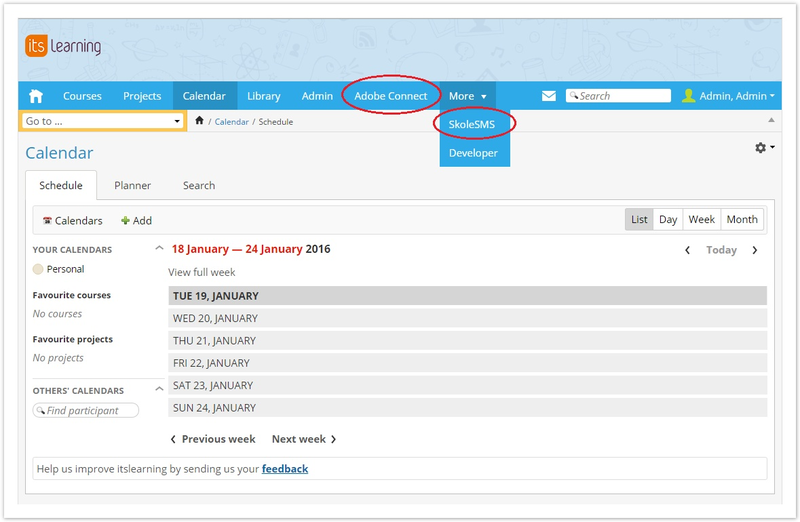 Example work flow for a teacher using a Module (ModuleX) that has been embedded into the top menu of itslearning. 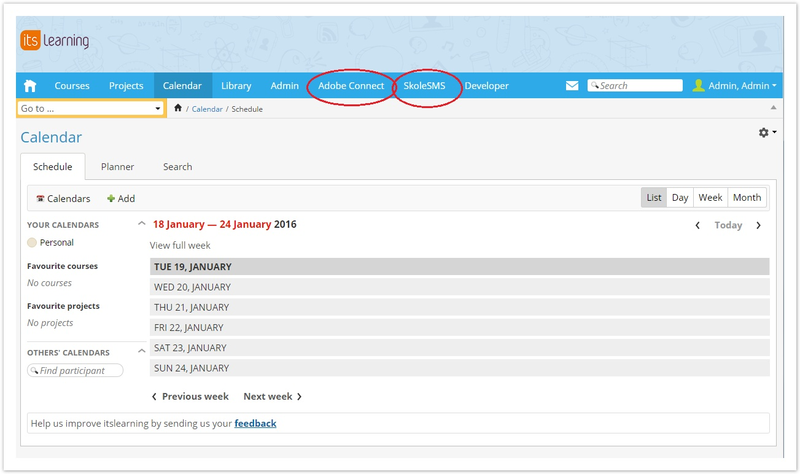 In the top menu of itslearning the teacher clicks on the ‘ModuleX' menu item. 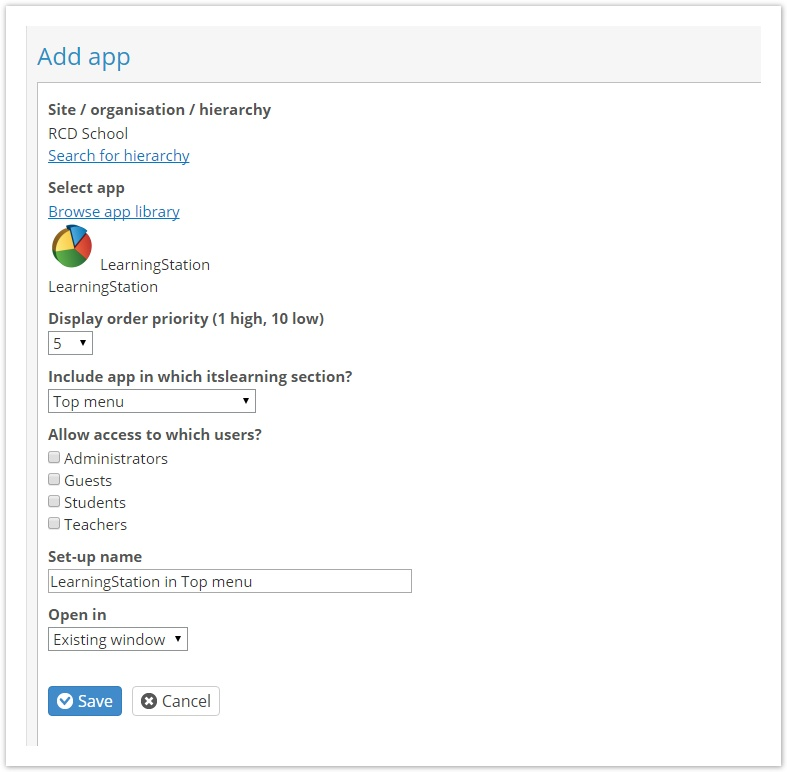 The 'ModuleX' web application appears in the content frame below the itslearning main menu. The teacher can navigate and use the ModuleX web pages. When the teacher wants to access pages in itslearning he clicks the top menu navigation. In the top menu of itslearning the teacher clicks on the ‘ModuleX’ menu item. Itslearning calls the agreed 'ModuleX' web application URL passing extension parameters. The 'ModuleX' web application decodes the parameters, using the shared secret to ensure they are genuine. When the teacher wants to access pages in itslearning they click the top menu navigation. 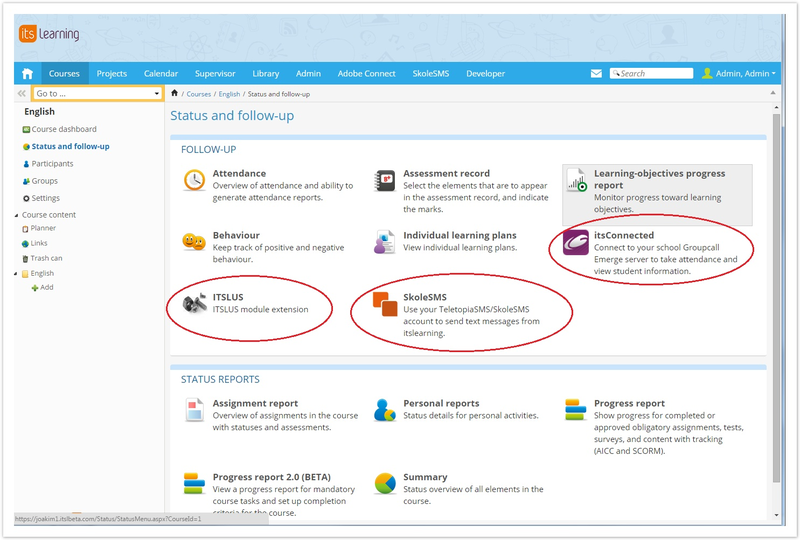 In itslearning, site and organisation administrators can manage Modules. 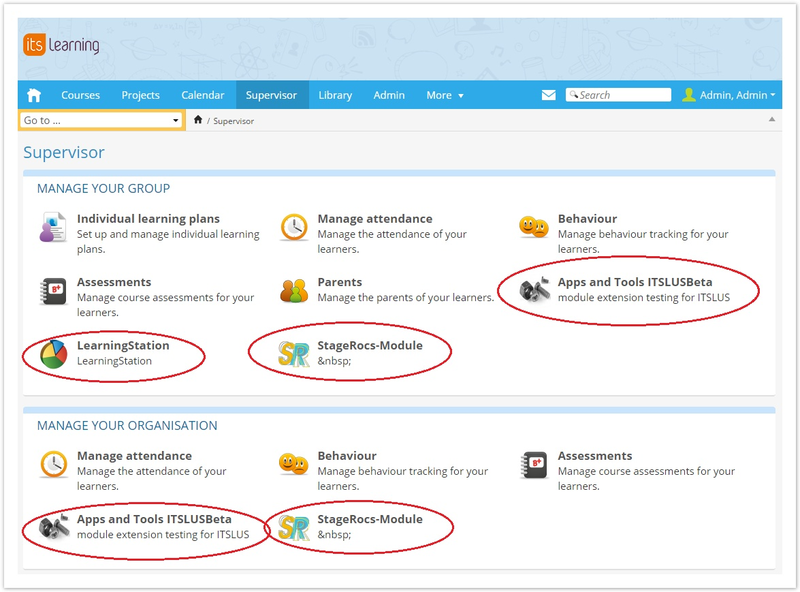 Select which user groups (Aministrators, Teacher, Students, Guests, Mentor, Headteacher) should have access to your Module web application. Modules will appear in the top menu on the right side in alphabetic order. If a user has multiple accesses to the same Module, only one instance of the Module will be shown. Only the first 20 characters of the titles will shown. If the user is a mentor, the Modules will appear in Mentor menu on the bottom of the ‘Manage my group’ list, in alphabetic order. 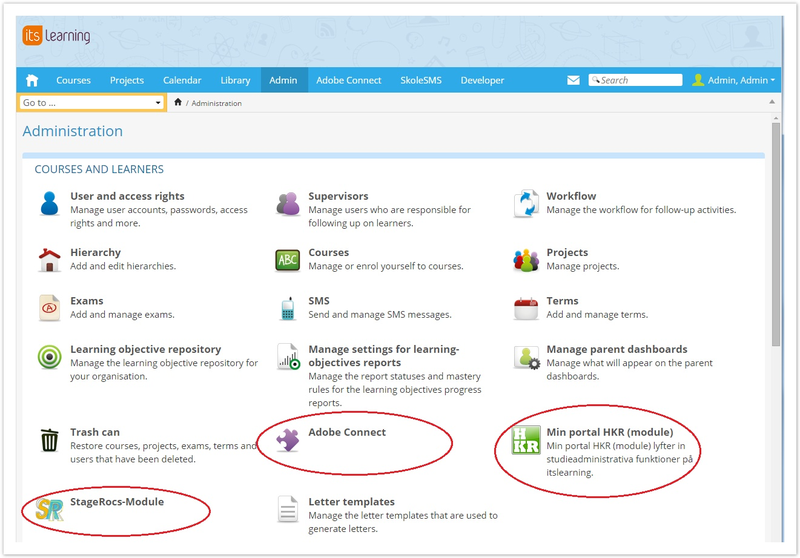 If the user is a headteacher, the Modules will appear in Headteacher menu on the bottom of the ‘Manage my organisation’ list, in alphabetic order. If the user is both mentor and headteacher, the Modules will appear in the Supervisor menu on the bottom of ‘Manage my group’ and/or the ‘Manage my organisation ‘ list, in alphabetic order. Itslearning has an endpoint to open a Module extension internal page. This URL can be used anywhere (for notifications, external systems, any place in itslearning). 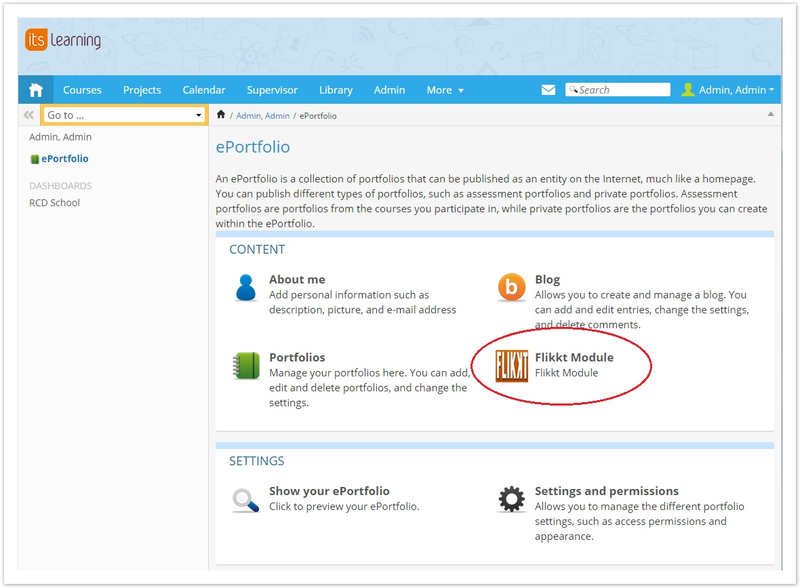 When user opens this link, itslearning shows the Module extension with a specific internal page if this is supported by the Module. The launch parameters that sends to the Extension Module and add possibility for open the specific content of this Module. In order for the Module web application to show specific user data, there must be an agreed common identifier or other way to uniquely identify the user between system. If a MIS/SIS creates users in itslearning, they can sign an unique 'SyncKey' to each user. This identifies the user to both itslearning and the external system. Using the itslearning REST API for plugins, the Module web application can get access to more detailed information on the user who has called the application (like synckey, email and other unique data). The itslearning REST-based services are protected via OAuth. See also Best practices, tips and tricks on how to grant access to extended data..